REEL 1 Background, 1894-1914: training as sapper cadet with London University Officers Training Corps; outbreak of war, 4/8/1914. Commission into B Coy, 5th Bn Inniskilling Regt, 30/9/1914. Recollections of period at Richmond Barracks in Dublin and Basingstoke, 9/1914-7/1915: 30/9/1914; story illustrating difficulties of 'dugout' officers; uniform and equipment shortages; nature and adequacy of training; higher formation training at Basingstoke; relationship with civilians and other ranks. Recollections of voyage aboard Allaunia to Mitylene, 7/1915: reaction to Gallipoli posting; conditions. Period at Mitylene, 7/1915-8/1915. 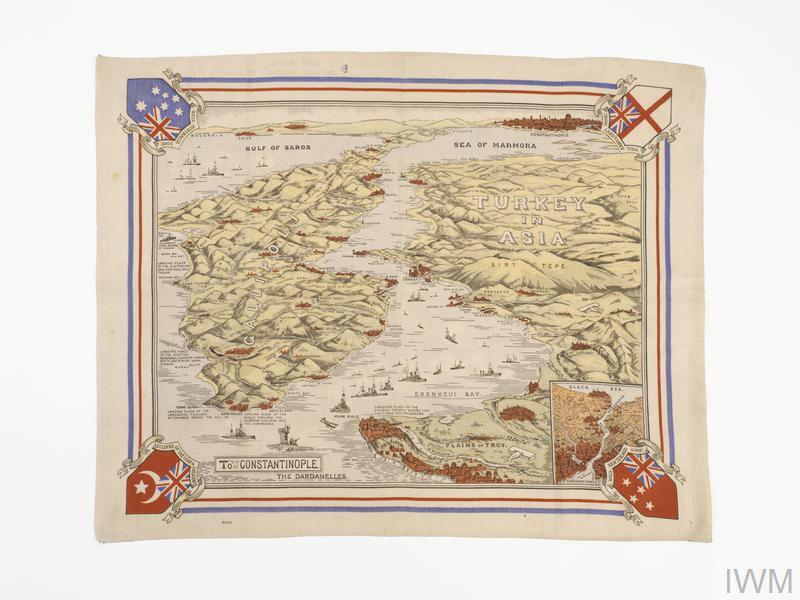 Recollections of landing at Suvla, 7/8/1915: lack of briefing; reasons for delayed landing; view of situation ashore; landing at Ghazi Baba at 4pm; Turkish corpse; beetle landing craft; move inland and relieving 11th Bn Manchester Regt in sangar positions on Kiritch Tepe. REEL 2 Continues: Recollections of conditions of service during period on Kiritch Tepe Ridge, 7/8/1915-15/8/1915: situation, initial water shortage and question of feasibility of successful advance; Royal Navy support; fly problem; corpses; mess parcel from GB; sea bathing; shaving; food rations; minimal nature of fighting. 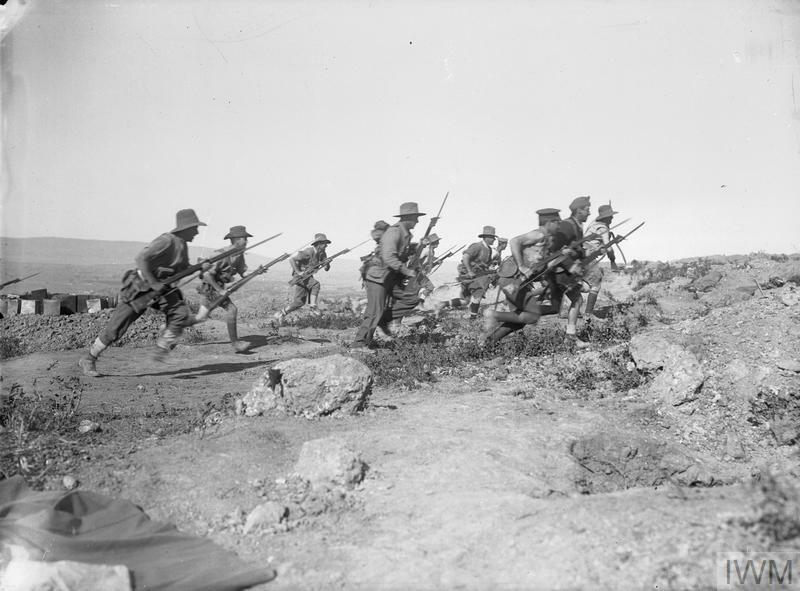 Recollections of attack along Suvla side of Kiritch Tepe, 15/8/1915: lack of briefing; advance under heavy fire through scrub; breakdown of attack; casualties; shrapnel wound in buttocks and return to front line; evacuation as walking wounded to beach dressing station, 16/8/1915; evacuation on Aquitania to Mudros hospital; influence of adjutant and senior NCOs. Rejoining unit at Mudros, 9/1915. Recollections of period at Salonika, Greece, 10/1915: wet conditions; drunk NCO. REEL 3 Continues: train journey to Doiran area; period occupying front line on Mimishlee ridge, 11/1915-12/1915; effects of blizzard, 27/11/1915; NCO's practical joke; difficult paths on ridge; retreat following Bulgarian attack, 8/12/1915; march back to Hortiac Camp, Salonika, 12/1915; road building duties, 1/1916-3/1916; contacts with GB; rations; period in reserve lines, 3/1916-7/1916; period occupying front line on Struma, 8/1916-8/1917; malaria problem; digging trenches; reconnaissance operation across Struma, 9/1916; morale. Various aspects of service in Egypt and Palestine, 8/1917-8/1918: movements; reserve role in operations; eating oranges; advance to Jerusalem; crossing of Wadi Jib; opinion of Turks; news of posting to Western Front, 6/1918. Recollections of service on Western Front, 7/1918-10/1918: period of training; GB leave; story of being wounded in knee by British shell during attack on Villers Autreux, 8/10/1918. REEL 4 Continues: story of being wounded in knee by British shell during attack on Villers Autreux, 8/10/1918. Evacuation to GB, 10/1918. Circumstances of award of Military Cross. Demobilisation and commission in Reserve of Officers, 12/1918. Comparison of service on Gallipoli, Salonika, Palestine and Western Fronts, 1915-1918. Membership of Gallipoli and Salonika Associations. Review of service in Second World War, 1939-1945: call up; training role with Bn of South Staffordshire Regt; leg injury; training role with Bn of Irish Fusiliers; attending ammunition specialisation course; involvement in smoke trials with infantry and tanks in Canada; period with School of Infantry, Warminster.